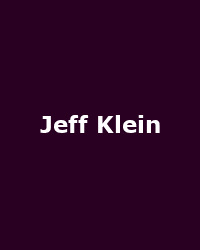 Highly-regarded and armed with a rusty and unkempt voice, songwriter Jeff Klein returns to our shores with a tour during June which covers pretty much the whole country. Having previously guested as keyboard-player for alt-rockers Gutter Twins, these dates herald his return as a solo performer. The gigs begin in Cambridge on the 15th June and continue to Birmingham's Hare and Hounds (16th), Bath Moles (17th), Brighton's Freebutt (20th), London's Borderline (21st), the Newcastle Cluny (22nd), Sheffield Forum (23rd), Glasgow's King Tuts (25th), the Manchester Roadhouse (26th) and finally ending up at the Fibbers in York on the 27th. Tickets are on sale now priced around £9, a bit of a bargain. Klein has quietly carved a little niche out with his gravelly tones highlighted on his three albums (via One Little Indian) including "You'll Never Get To Heaven If You Break My Heart". He has also contributed to recordings by Ani Difranco, Mundy and Twilight Singers. Busy boy - go see him.